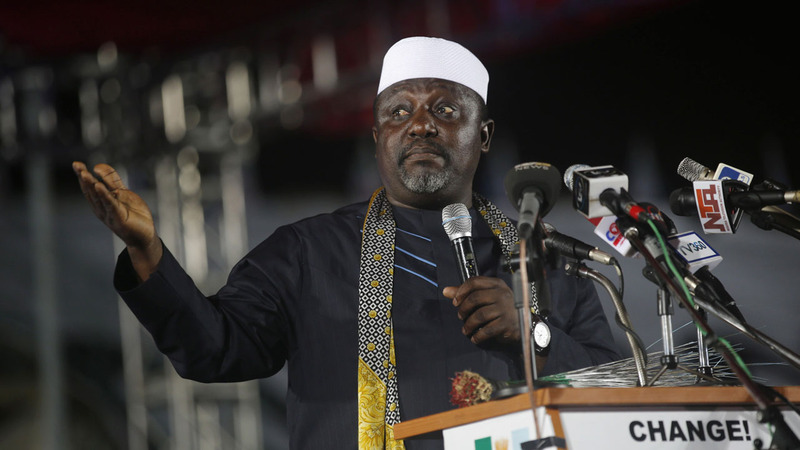 Imo State Governor, Rochas Okorocha, has urged the governorship candidates of various political parties to honourably resign from the race, if they are afraid of him, instead of ‘disparaging his good name’. The governor made the accusation in a press statement he issued through his Chief Press Secretary, Sam Onwuemeodo. He said: “It has become increasingly necessary to ask or advice some governorship candidates in the state, especially Ihedioha, Uzodinma, Araraume and Ohakim, who have seen defeat staring them in their faces, to honourably withdraw from the gubernatorial race, instead of resorting to cheap blackmail and petty lies against governor Okorocha. “We ‘ve read the press release by the campaign outfit of Chief Ihedioha of the PDP, concerning the reported death of a young man in Oguta, said to have been killed in cult-related clash. And you begin to wonder what connection the death of the young man has to do with the rally of the APC senatorial candidate for Orlu Zone, Governor Okorocha, in Oguta, at the weekend. Citing instances where his name was smeared, governor Okorocha said: “A week ago, when the house of the candidate of APGA for the House of Representatives for Oguta/Ohaji-Egbema/Oru-West Constituency, Dr. Henry Okafor, also from Oguta, was demolished by security agents, following the judgement of the Supreme Court on the land he built the house, he, in the company of the APGA governorship candidate, Chief Araraume, told the world that it was governor Okorocha and a staunch member of the Rescue Mission family, Kingsley Uju, that demolished the house.